Discussion in 'Giveaways and Contests' started by khanyash, Jul 17, 2018. * 10 seconds to rollback the computer to a snapshot even if Windows fails to bootup. 1. Eazy Fix does not require hidden partition or reserved space to install. 2. Eazy Fix continuously protects system from any known or unknown software threats. 3. Eazy Fix can take a new snapshot of PC regardless the hard disk size and system size in less than 5 seconds without interrupting your work. 4. Eazy Fix can roll back to a snapshot in less than 10 seconds even if Windows fails to bootup. 5. Eazy Fix can restore data up to the minute of crash. 6. Eazy Fix works as if it's not even there, it doesn't require user to do anything. 7. Eazy Fix supports both 32 and 64 bit of Windows XP, Windows Vista, Windows 7, Windows 8.x and Windows 10 (MBR or GPT disk; Legacy or UEFI BIOS). How to buy Eazy Fix? You won't find pricing information on their website. FAQ states "We primarily sell through distributors and resellers who could have different pricing in different countries. To avoid unfair competition, our distributors ask us not to openly publish the prices. We apologize for the inconvenience. You can inquire pricing information from sales@eazsolutions.com." 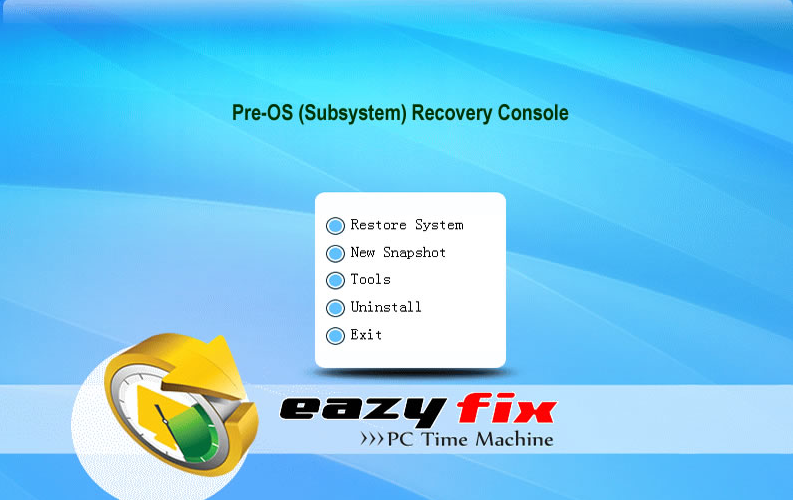 Eazy Fix is simply the easiest, fastest and arguably the best system instant recovery solution in the market and chosen by millions of users worldwide. I would like to thank EAZ Solutions for sponsoring the licenses for our active members. Giveaway Details: Eazy Fix v11. 15x lifetime licenses + 1 year free upgrades. * Members should have at least 10 good posts (hello, thanks, such 2-3 words posts, and giveaway participation do not count) to enter this contest. * Post in minimum 2-3 sentences "why you would like to win a license of Eazy Fix" to make a valid entry. * Posts have the same or duplicate IP address will not be counted in the contest. * Participation or Posts not per Rules will be deleted without any notice. * I reserve the right to any/all actions related to the giveaway. NOTE: The contest should have more than 75 valid posts on the completion. The number of licenses will be reduced for less than the mentioned valid posts for the contest. PM me within 3 days of winners announcement. 15x lifetime licenses + 1 year free upgrades (You will get 11 months remaining as licenses were received in advance). I experiment a lot with Windows and Eazy Fix would be to me truly suitable. Thanks to this opportunity here to put you! 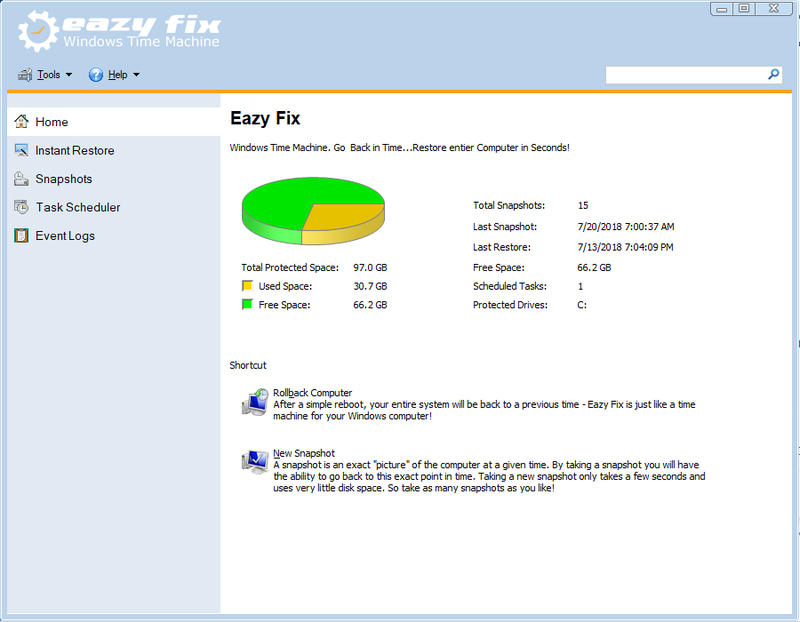 This sounds as if Eazy Fix is a great and useful software.. The most excting thing is your operating system is in your hands in a really short time even if you have a failed-bootup .. 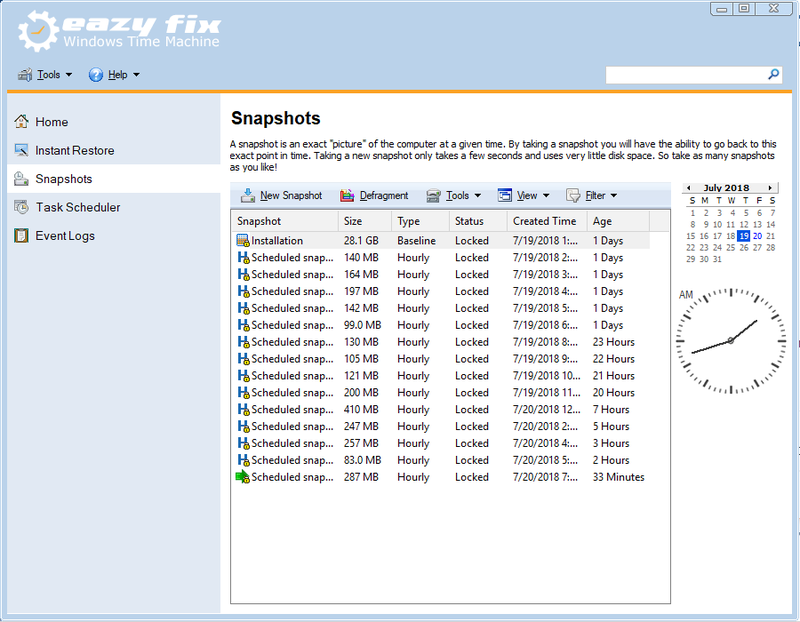 The new Eazy Fix 11 is a very good system snapshot software suitable for software enthusiasts, testers and users that want to safely restore their systems at a specified date. It is a good solution covering all our needs regarding backup, antimalware (although i wouldn`t risk on this matter) and optimisers. It is an efficient software good to have it when something unwanted or disastrous appear, good also for broken Windows updates definitions that render Windows unstable. Would love to have it on my PC. 2. 10 seconds to rollback the computer to a snapshot even if Windows fails to bootup. 3. Eazy Fix does not require hidden partition or reserved space to install. Thanks a lot for the giveaway. I would like to win a license for Eazy Fix in order to have a working alternative to System Restore that should be more complete, comprehensive and operational. This software has all these advantages and that`s why i want to win it. Participation or Posts not per Rules have been deleted. Please read and follow the simple Rules. This is the first time I know Eazy fix. Now I'm using Deep Freeze 6 and I don't really love it. I can rollback after I try some patch or Cr@ck. I can open strange files from Email. My kid can't harm my computer, my files. If I win this contest that is soo good. I have revised the 10 good posts Rule to make it more clear and easy for the members. Previous Rule was "Members should have at least 10 good posts outside of the giveaway forum to enter this contest." New Rule is "Members should have at least 10 good posts (hello, thanks, such 2-3 words posts, and giveaway participation do not count) to enter this contest." Easy Fix it Windows Time Machine Solution which can undo common user errors and serious system problems on your PC and allow you to return your PC to perfect condition without ever knowing what went wrong. It can restore PC even if Windows fails to boot up without any boot disk or third party media required. It is simply the easiest and fastest PC rollback software. With such favorite feature of the software, I am eager to win this license to ensure maximum safety and security to my system. I tryout always a lot of different apps and games, because I'm a bit of a hoarder, when it comes to computer stuff. The problem with that habit is, that I sometimes (partly) kill my Windows-10 installation. From time to time I do backup my whole system, but not daily / weekly / monthly / automatically. So even if I'm able to go back to my last backup, it will be never up2date, because of the irregularity of my backup's and that is why I think "Eazy Fix PC Windows Time Machine" would be perfect for me. To be able to roll my system back to one hour ago or so, would be really helpful and would save me a lot of time, which I would have to waste to re-install all the things I put on my system since my last major backup. 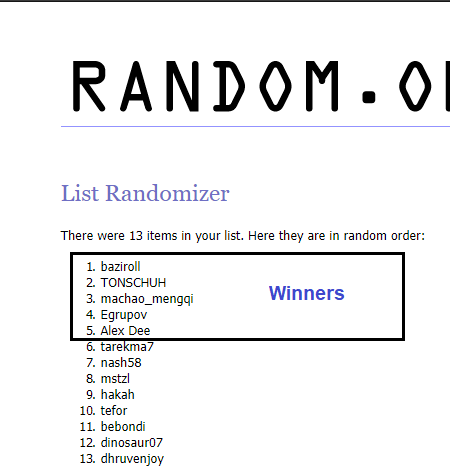 Thanks a lot for the Giveaway and Good Luck everyone ! Thank you for the opportunity to win a license for this wonderful software. After installing the analogue of this program RollBack RX on my laptop, I forgot about the problems with Windows. I would like to use this program on my PC, since I like to test a large number of different software regularly, often after deletion remains garbage in the system. Having installed the program it is possible to switch the state of the computer between different pictures. The computer can be restored to the working state in a few minutes if the Windows OS does not boot. Eazy Fix is ? ?different from any other conventional backup or recovery solution due to its unique features. As a Windows Time Machine, Eazy Fix dose not take up too much of hard disk space, which only takes a new snapshot of your PC and rolls back to it as rapidly as possible when you need. 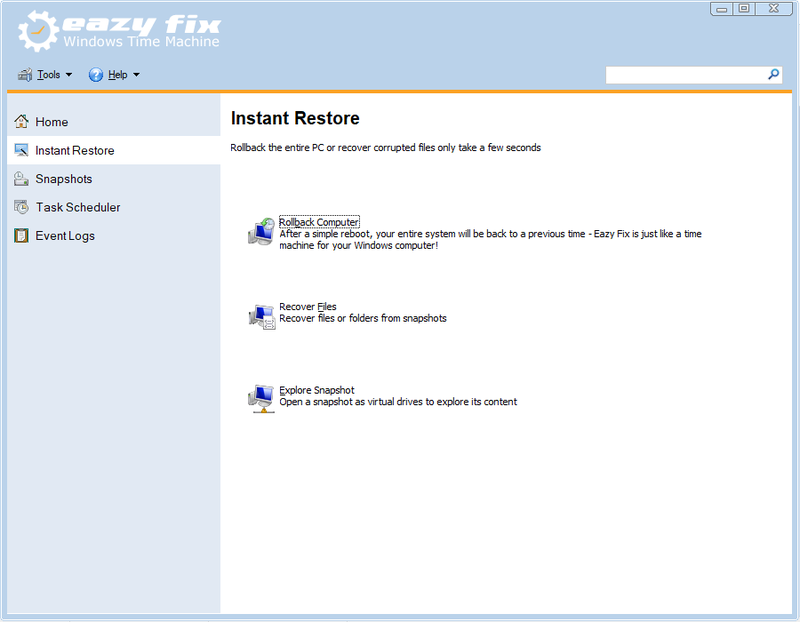 I think Eazy Fix is one of the best option to me when my PC need to be restored to its previous state. Based on this, I want to get a Eazy Fix lisence. thank you a lot. There are total 13 entries. There will be 5 winners.